With more an estimated 700,000 women giving birth each year in the UK, it is no surprise that preferences regarding the details of delivery and maternity care are wide-ranging. When it comes to giving birth in the UK, expectant mothers have several options on where the delivery will take place. Most assume that the maternity unit through an NHS hospital is the only choice, but there are also childbirth centres and an option for home births when that makes the most sense for the mother and her family. The alternatives to an NHS hospital birth can be a little daunting at first, but educating one’s self on the advantages and downsides to each is helpful in making the best decision. Here is a quick guide to what can be expected when giving birth to a child in an NHS hospital setting, a childbirth centre, or a homebirth setting for expectant mothers. The majority of women in the UK opt to deliver their child into the world in an NHS hospital facility. Within the hospital’s maternity unity, delivering mothers are taken care of by a team of midwives and doctors when the need arises. Information about options for labour and delivery are provided in a hospital setting by the appointed team of medical providers, and expectant mothers gain some benefits by utilising the hospital setting to give birth. First, mothers in labour have access to anaesthetists who can provide epidurals for pain management along with general anaesthetics should it be needed or requested. Additionally, specialists trained in the care of newborn children are available at any time which is especially important if there are any issues after the birth of the child. Similarly, trained obstetricians are on hand should labour or delivery become complicated, protecting both the mother and the infant to be born. Although the hospital setting offers the most hands on deck for labour and delivery, this option for delivering a child has decreased in popularity in recent years thanks, in part, to complex circumstances surrounding informed consent. A representative from a solicitors group dealing with childbirth negligence cases explains that many women are not given options during labour and delivery based on what they want but instead are forced to take the guidance of the doctor or midwife without being presented with alternatives. When informed consent is not given, soon-to-be mothers may experience adverse effects during labour and delivery that could not only impact their health and well-being, but their child’s as well. According to a recent survey conducted by Birthrights, only 77% of mothers responded that they felt as though they had the opportunity and subsequently gave consent in a hospital setting, compared to 93% in birthing centres. Research shows that feeling forced to undergo an exam or a procedure without providing consent can lead to ongoing emotional and mental health struggles, and this possibility is amplified when mothers feel slighted during labour and delivery. Expectant mothers in the UK may find the statistics on positive experiences in hospital settings alarming, but there are viable alternatives to a hospital birth. 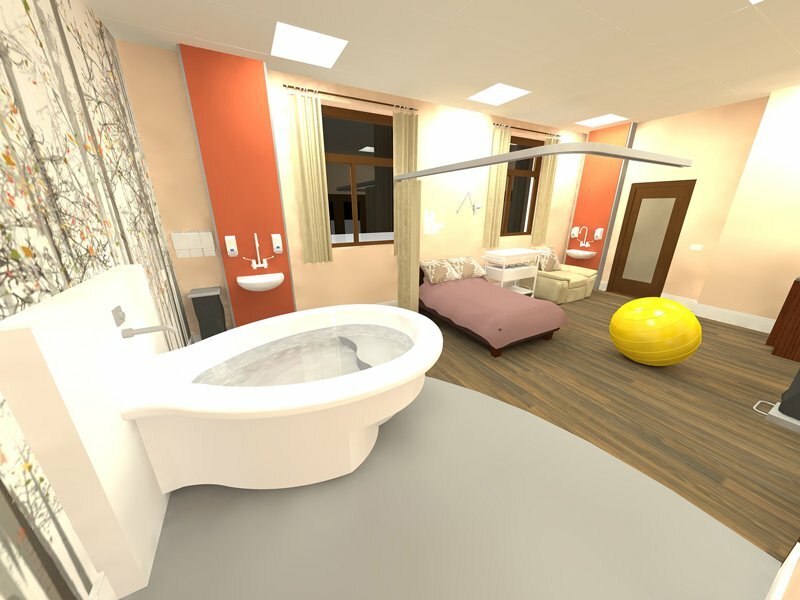 Childbirth centres, also called midwifery units, are also an option for delivering a child in the UK, and they provide a more comfortable setting than a hospital room. These centres may be part of a larger healthcare facility’s maternity unit or a smaller community facility, or separate from the hospital altogether. In a childbirth centre, pregnant women have several advantages that can make the labour and delivery process more of a positive experience. Most women cite the benefit of having a greater degree of relaxation and comfort in a childbirth centre compared to a hospital, offering an opportunity to cope with labour is a less stressed way. Similarly, the same midwife assisting with prenatal care is available for labour and delivery, unlike a hospital where expectant mothers may not have the same familiar face. In many cases, a childbirth centre is closer to home, making it easier to get there once labour begins, and women are less likely to experience intervention during delivery. However, it is important for expectant mothers to recognise that should complications arise during labour or delivery, transfer to the hospital is a necessity. The third option for expectant mothers is homebirth, where labour, delivery, and aftercare takes place in the comfort of one’s home. Mothers still have access to a midwife, along with a level of comfort that cannot be experienced in a hospital or childbirth centre. Labour can take place without interruption, and there is no disconnect from one’s partner, other children, or family members. Mothers who choose a homebirth also have the same midwife throughout their pregnancy and delivery. However, like a childbirth centre, mothers may need to be transported quickly to the hospital if delivery becomes complicated. Epidurals are not available with homebirths, as they are with hospital births, and for some with already complex pregnancies, a hospital birth is recommended. With hospital, childcentre, and homebirths, women have important choices to make regarding where and how they give birth. Each location options has its unique advantages and disadvantages, all which must be considered when determining which is best suited for the delivery of a healthy child and a happy mother.